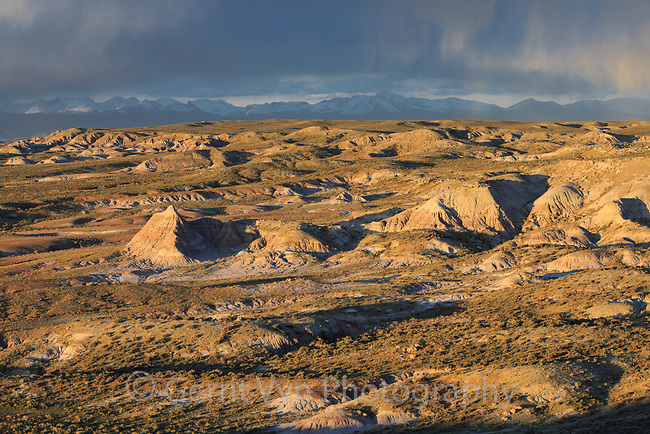 Badlands, sage and Wind River Range. Sublette County, Wyoming. May.